Hey everyone! Hope you are all having a lovely relaxing Sunday. 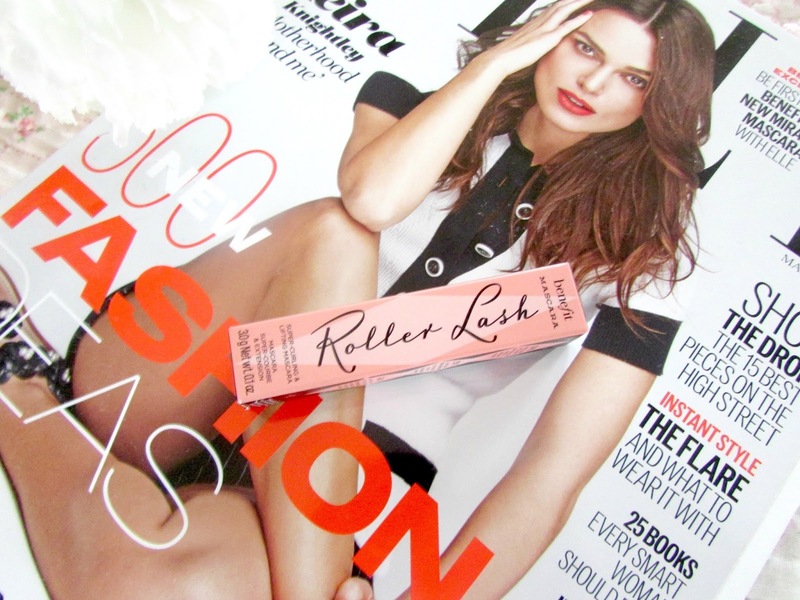 Today I thought that I would talk to you about a new mascara that has recently entered my life...Benefit's Roller Lash. Now I have been needing a new mascara for ages. It has been the only thing missing in my make up collection for about 3 months now. I then saw a lot of people talking about this new release on twitter and I was instantly intrigued. 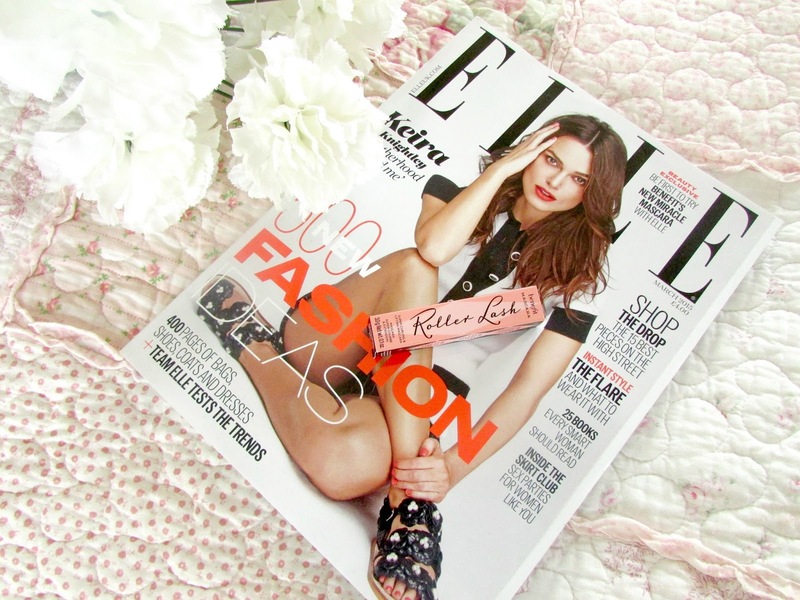 I then realized that Benefit were giving away a free sample with a copy of the magazine Elle. Now I love a good magazine and I love a freebie so I thought this was an amazing deal. I love that it's basically a 'try before you buy' concept. Benefit is actually a brand that I will be experimenting with a lot more throughout 2015 so I thought why not start off with this gorgeous mascara? Check out my thoughts below. The first thing I love about this mascara is the packaging. I think that it looks a lot more sophisticated than a lot of their other products. Black and pink are always an amazing combination in my books. One of the main things I noted about this mascara when I was doing a little bit of research on it is that Benefit have actually been working on it for four years which I think is pretty incredible. They obviously wanted to make sure that this was absolutely perfect which shows how dedicated Benefit are to making the perfect product! I also love the standard size of this product. Because it's a sample size it's perfect for just popping in your handbag for on the go use! I might have gone out and bought two copies of this magazine just for the sample size. Oops! This mascara is described by Benefit as a 'Super curling and lift mascara'. You know those rollers that you can get for your hair? This mascara is expected to have the exact same affect. The brush is described as a 'hook n roll' that is expected to grab your lashes, separate them, and curl the lashes too. This is all thanks to the slight curve within the brush. On application of this mascara your eyes instantly look open and make you look wide awake. As someone who doesn't get much sleep due to insomnia I really do appreciate this look! My eyes look more open and leaves me looking like I've had a ton of sleep which I absolutely love. The curl in the lashes is expected to hold for around 12 hours but I haven't really sat there and counted how long it does stay for. However when I've left for work in the morning and come back home in the evening my lashes still look like they have a pretty curl so I would say it holds for quite a long time. When I first opened it I wasn't that sure on the wand. I've had bad experiences with plastic type wands in the past so I was a bit skeptical however Benefit have definitely hit the nail on the head with this one. It just does the job amazingly well. If you're someone who has quite short or straight lashes which I definitely have then I think this would be perfect for you as it really does leave them with a pretty curl and a lot of length and volume as well. It grips onto the individual lashes incredibly well and curls every single one which I find looks incredibly pretty. When it comes to removing this mascara I find it comes off very easily. I just place two cotton pads over my lashes with some micellar water and then just remove all my eye make up. This leaves me looking like a panda of course but it takes no more than a few minutes to get all the mascara off which I absolutely love. I just cannot find a fault with it as of yet! Benefit's Roller Lash isn't expected to hit the shops till the end of this month for a price tag of £19.50. Now I am quite fussy when it comes to mascaras and I would never normally think about spending that much however I am so in love with the pretty fluttery effect this gives my lashes that I definitely think I'll be rushing out to buy one. If you're still not sure after reading my review there are still a few copies of Elle out there where you can buy the magazine with the sample sized product for only £4 which I think is incredible! I've been out a couple of times and the magazines have been sold out so if you want a copy I'd head out there as soon as possible! Have you tried any Roller Lash yet? What is your favorite mascara? It sounds like a really good mascara. I also got it with the magazine but haven't tried it out yet. 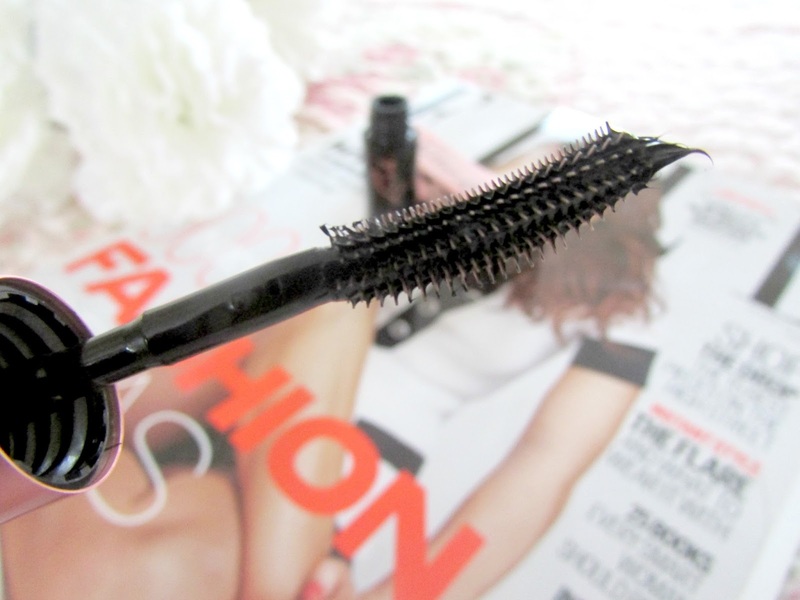 I've heard the Maybelline Lash Sensational Mascara is an EXACT dupe for this mascara! Have you tried the new Maybelline one to compare?